In the southwestern Mexico mountainous sierras in the state of Oaxaca, the Zapoteco of Tejalapan have lived for a few thousand years. They are extremely remote and isolated due to the limited access through the barren valleys and steep rocky hills often covered with thick fog. It is difficult to pass through, especially during rainy season. 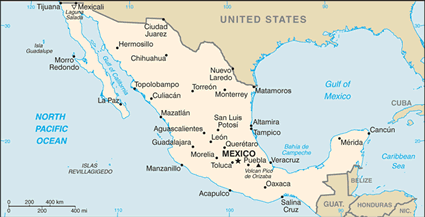 Their villages are located 20 miles northwest of Oaxaca, Mexico in an isolated and remote mountain area. There are several indigenous groups within this ethnic family which all speak different languages. Each group within this family speaks such different variations of a language that they can't understand each other completely. If they don't speak Spanish it is hard to reach them. But more and more of the people are losing their language (second and third generation). They are very family centered. The town is very welcoming and overall very hospitable. The church is very Catholic and they can be very aggressive to the point of violence against non-Catholics. Their identity is Catholic. Being Catholic is not only a religious thing; it is also, and perhaps more importantly a cultural identification. The sign of Guadalupe is their identification. This depiction of Mary is of an indigenous woman and that is how they say Mary appears. She identifies with them. It is important to raise up leaders. It is important for missionaries not only to reach them but also to disciple them. There is too much emphasis on the initial evangelism task. They should actually do their own ministry because they are the ministers. There is much mentoring and training to be done. * Pray they may come to know Jesus Christ as Savior. * Pray they may be lead into light of the Good News. * Pray for a missionary who can teach and guide them to Jesus. * Pray for the discipleship and education of women. * Pray for Gospel messages to become available in audio format for this people group.View Zapoteco, Tejalapan in all countries. Location in Country: Oaxaca state: Etla district, San Felipe Tejalapan.